The U.S. Department of Commerce today released a green paper on Copyright Policy, Creativity, and Innovation in the Digital Economy (Green Paper) to advance discussion on a set of policy issues critical to economic growth. The Green Paper discusses the goals of maintaining an appropriate balance between rights and exceptions as the law continues to be updated; ensuring that copyright can be meaningfully enforced on the Internet; and furthering the development of an efficient online marketplace. The Green Paper released today is the most thorough and comprehensive analysis of digital copyright policy issued by any administration since 1995. The report is a product of the Department of Commerce’s Internet Policy Task Force (IPTF) with input from the U.S. Patent and Trademark Office (USPTO) and the National Telecommunications and Information Administration (NTIA). Through the IPTF, the USPTO and NTIA will solicit further public comments and convene roundtables and forums on a number of key policy issues. 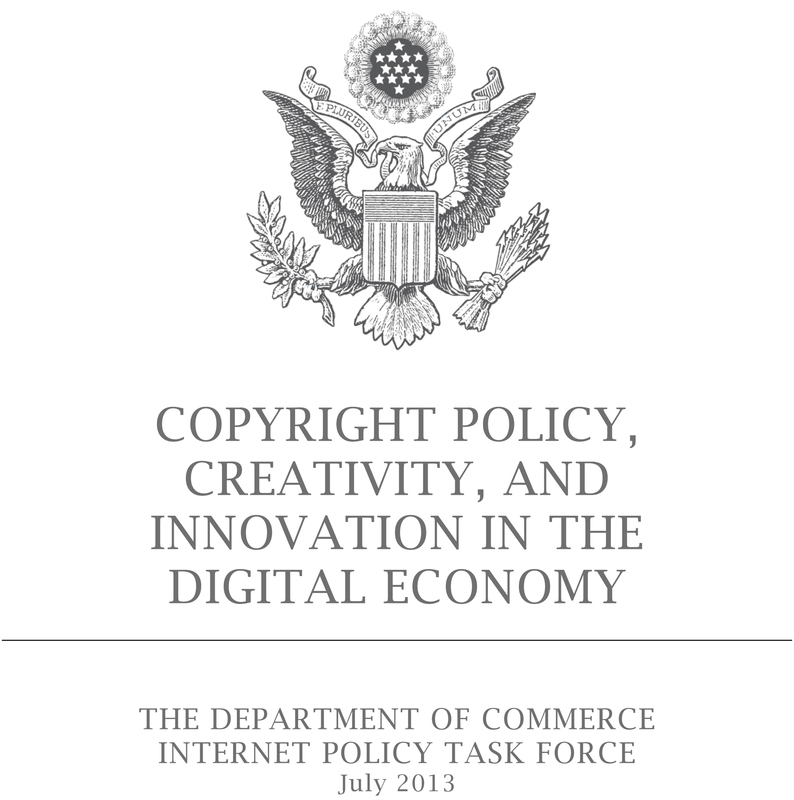 Copyright has been a vital contributor to U.S. cultural and economic development for more than two hundred years, fostering the production and dissemination of the valuable expression that has put America at the forefront of the global creative marketplace. Maintaining a balanced and effective copyright system should continue to drive the production of creative works while at the same time preserving the innovative power of the Internet and the free flow of information. The Green Paper provides a comprehensive review of current policy related to copyright and the Internet, and identifies important issues that call for attention and development of solutions. The solutions may entail a combination of legal remedies, technology, private sector cooperation, and public outreach and education, along with the continued development of options to legally access copyrighted works. A major feature of the My Congressional District app is the ability to embed a selected 113th congressional district on a user's own webpage. The embedded district will display the latest statistics from the American Community Survey, allowing visitors to quickly view statistics for any of the 435 congressional districts and the District of Columbia. While in Denver, Colorado, as part of her nationwide listening tour, Secretary Pritzker met with the heads of the Commerce Department’s local offices, including: International Trade Administration’s U.S. Export Assistance Center (USEAC), the Economic Development Administration (EDA), the National Institute for Standards and Technology’s Manufacturing Extension Partnership (NIST MEP), the Patent and Trademark Office (PTO), the U.S. Census Bureau, the Inspector General (IG), and the Minority Business Development Agency (MBDA). In addition to these meetings, she also spoke to employees about their work and ways in which their efforts are supporting economic growth and development in Colorado. Today’s discussion in Denver served as an extension of an employee town hall she held yesterday in Boulder. The secretary emphasized how their work is crucial to creating a better quality of life for Americans and more opportunities for entrepreneurs and businesses. She also asked employees for their input in the department’s ongoing efforts to protect, promote, and inform what America needs to be competitive and innovative in the 21st century. These employee engagement opportunities are part of the secretary’s overall efforts to serve as a bridge to the business community so that the public and private sectors can work together to create jobs and opportunities for all Americans. 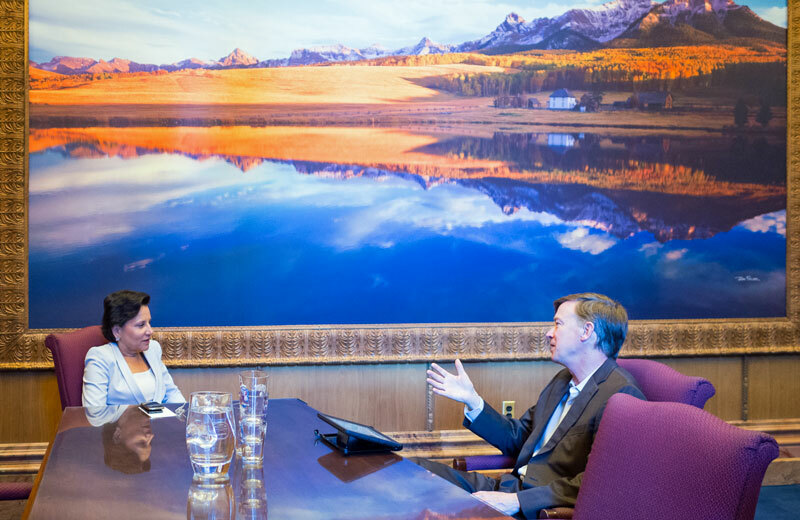 U.S. Secretary of Commerce Penny Pritzker today met with Colorado Governor John Hickenlooper to talk about ways to build on the momentum of an improving Colorado economy through efforts that support collaboration and entrepreneurship. The Governor is a strong supporter of entrepreneurship, innovation, and the state’s highly-skilled workforce – all things that make Colorado an attractive place to do business. As part of her nationwide listening tour, Secretary Pritzker is meeting with state and local leaders who are undertaking creative projects to attract business investment. Governor Hickenlooper and Secretary Pritzker discussed the potential of advanced manufacturing to create jobs and bolster the nation’s economy and the Obama Administration’s efforts to strengthen American manufacturing through the National Network for Manufacturing Innovation and the Investing in Manufacturing Communities Partnership. Secretary Pritzker also invited Governor Hickenlooper to join her at the Commerce Department’s first-ever SelectUSA Summit, which will connect foreign and domestic investors with U.S. cities, states and regions looking to attract business investment. 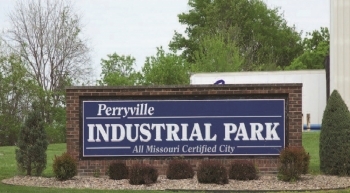 The Summit will give state and local officials and Economic Development Organizations unique access to investors and help them execute their investment attraction strategies. 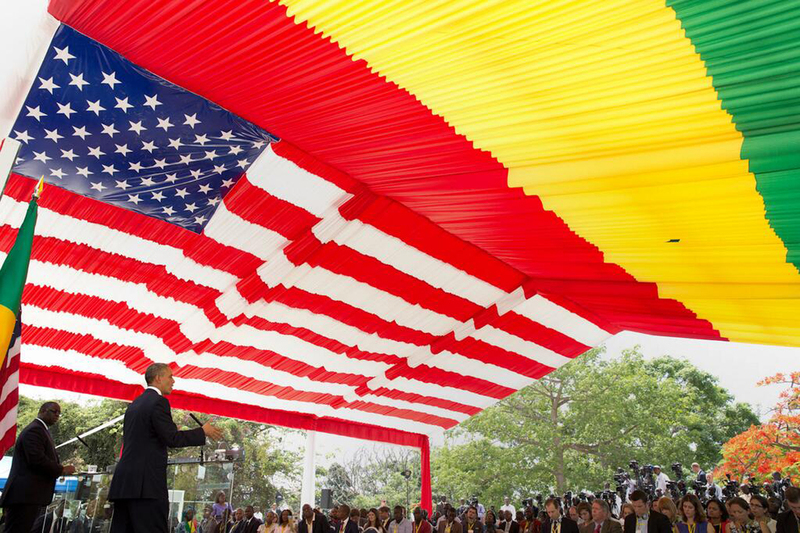 The Summit will be held in Washington, DC, on October 31 and November 1, 2013. U.S. Secretary of Commerce Penny Pritzker today met with Denver Mayor Michael Hancock and the Director of the Denver Office of Economic Development Paul Washington to talk about issues facing the city’s economy and local businesses. As part of her nationwide listening tour, Secretary Pritzker is meeting with state and local leaders who are undertaking creative projects to attract business investment. Secretary Pritzker and Mayor Hancock talked about his vision for the Denver International Airport, as Mayor Hancock has proposed the development of an “aerotropolis,” a plan that would concentrate aviation-intensive businesses and related enterprises around the Denver International Airport (DIA), which is the fifth largest airport in the United States. DIA currently employs 30,000 and has an economic impact on the region of more than $20 billion. They also discussed the importance of public-private partnerships focused on skills training and workforce development, as well as President Obama's Select USA initiative. Select USA is a federal effort to showcase the United States as the world’s premier business location in order to attract investment and create jobs, and Secretary Pritzker is leading the administration’s efforts on the initiative. 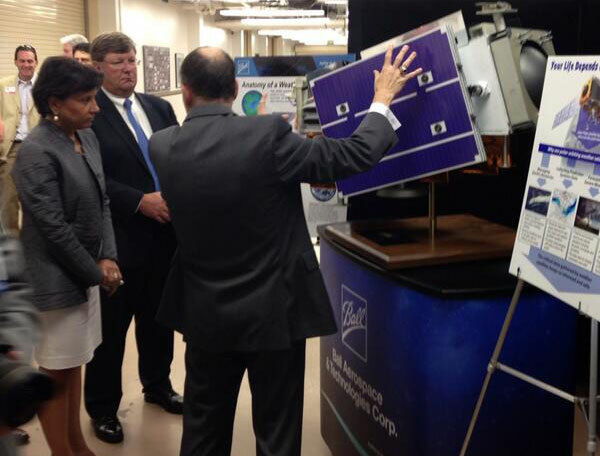 Secretary Pritzker and Mayor Hancock also discussed the U.S. Patent and Trademark Office’s satellite space in Denver, which is helping entrepreneurs and businesses in the region. 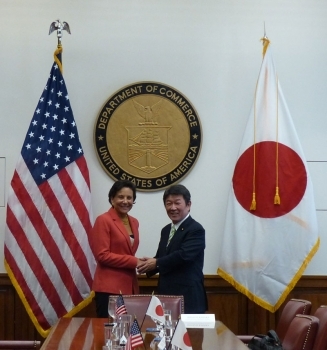 The secretary looks forward to finding ways to work together in the future, and invited the mayor to visit the next time he is in Washington, DC. 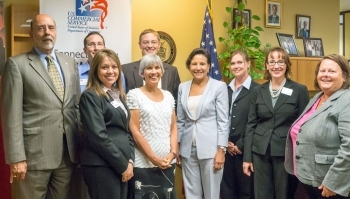 While in Boulder, Colorado, as part of her nationwide listening tour, U.S. Commerce Secretary Penny Pritzker today met with employees from the Commerce Department’s National Telecommunications and Information Administration (NTIA), National Institute of Standards and Technology (NIST), and National Oceanic and Atmospheric Administration (NOAA). Approximately 1,600 department staff and affiliates are located at the Boulder facility, and the Commerce Boulder Laboratories is the largest department facility outside Washington, DC. 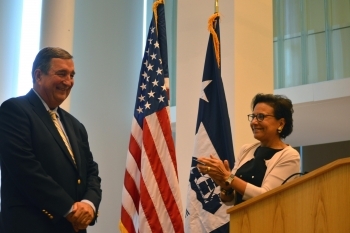 Secretary Pritzker first held a town hall with approximately 350 employees from the three agencies as part of her commitment to engage with and hear directly from all Commerce employees about their work. The secretary emphasized how their work is crucial to creating a better quality of life for Americans and more opportunities for entrepreneurs and businesses. She also asked employees for their input in the department’s ongoing efforts to protect, promote and inform what America needs to be competitive and innovative in the 21st century. 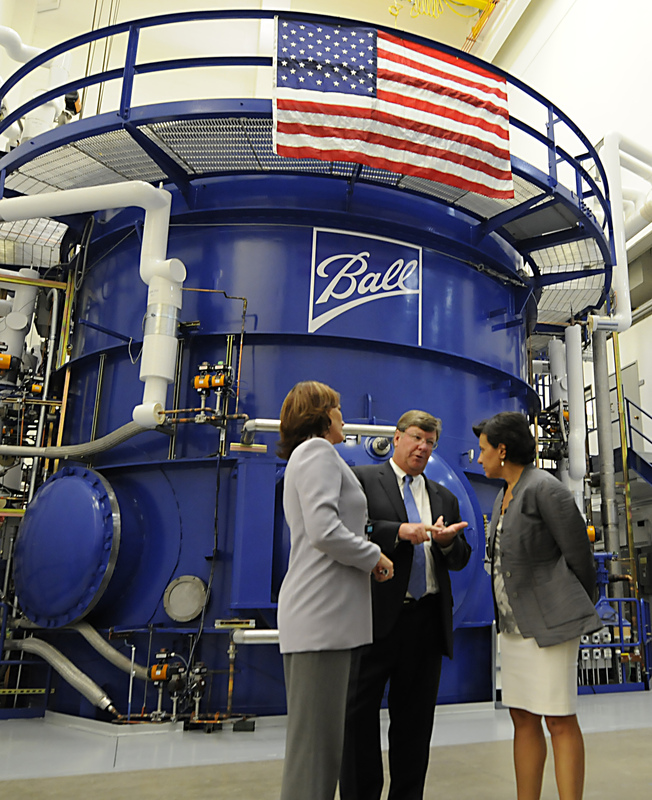 Today, U.S. Commerce Secretary Penny Pritzker traveled to Boulder, Colorado, to kick off her nationwide listening tour. 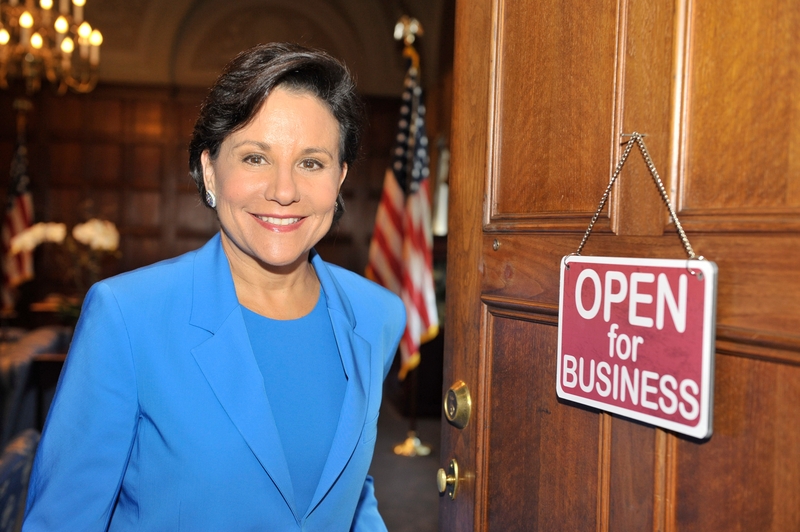 Upon her swearing in, Secretary Pritzker announced that she would travel the country to meet with, and hear from, business and community leaders, entrepreneurs, and Commerce Department employees to discuss how public-private partnerships can strengthen the economy and create jobs. 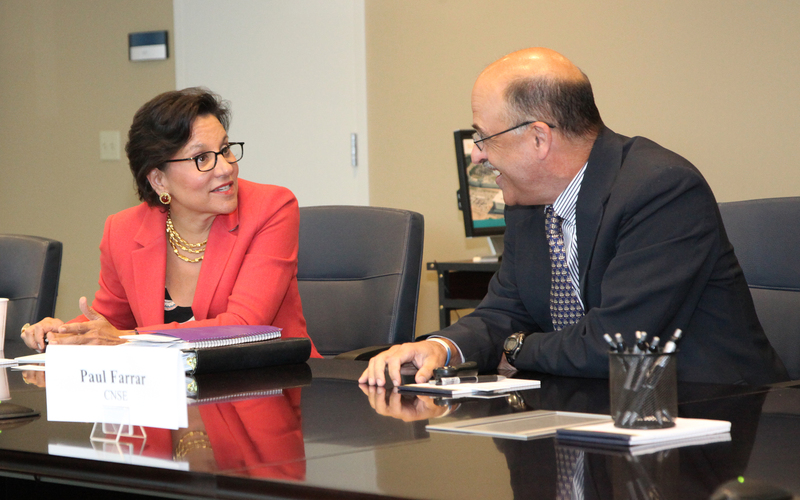 Secretary Pritzker met with Boulder Mayor Matthew Appelbaum to thank him and the city council for their long-standing support of Commerce’s three Boulder laboratories, which are run by the National Oceanic and Atmospheric Administration (NOAA), the National Institute of Standards and Technology, and the National Telecommunications and Information Administration. The two talked about CO-LABS (Colorado Leveraging Assets for Better Science), a consortium of the 24 labs, universities, businesses, local governments, and community leaders organized to establish Colorado as a global leader in research, technology, and their commercialization, as well as other initiatives to fuel economic growth in the region through increased promotion and investment in innovation. Next, Secretary Pritzer toured Ball Aerospace and Technologies Corp., a company that produces spacecraft instruments and sensors, radio frequency and microwave technologies, and a variety of advanced aerospace technologies and products. In addition to Mayor Appelbaum, she was joined by several Ball Aerospace executives, including president Rob Strain, North America metal packaging president Mike Hranicka, and chief financial officer Scott Morrison. As an entrepreneur and businesswoman, I have first-hand experience with the data, information, services and resources the Commerce Department provides. Yesterday, I had the opportunity to meet the people who produce the data used by communities and businesses across the country. 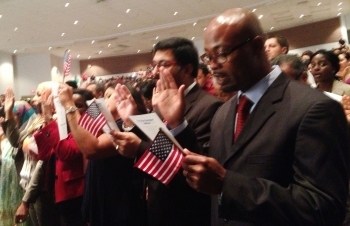 At the Census Bureau’s headquarters in Suitland, Maryland, I saw how statisticians, demographers, economists, information technology experts and other highly-skilled staff are working together to meet the rising demand for economic and demographic data. 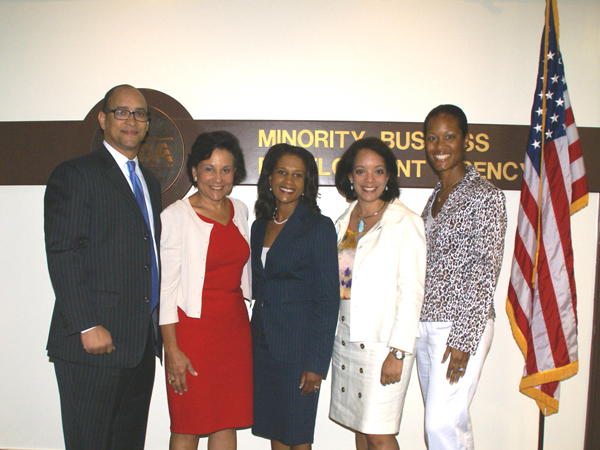 As I experienced personally, the timely, high-quality statistics from the Census Bureau give entrepreneurs and business executives the tools they need to make major investment decisions. 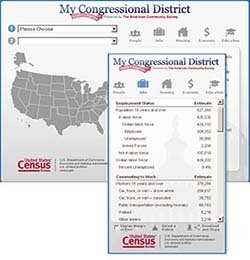 The broad menu of data delivered by Census and other Commerce Department bureaus also provides officials at all levels of government with the most reliable basis for decisions, such as where to build a school, highway or a factory, and where to find export markets and small business opportunities. There was an additional air of excitement during my visit because Census unveiled an updated version of the America's Economy mobile app with three additional economic indicators, including the nonfarm payroll employment. The America’s Economy app, which gives users all sorts of current and historical statistics related to 19 economic indicators, is on my iPad and those of 98,000 other data users. Since taking office two weeks ago, Secretary Penny Pritzker has made it clear that engaging with the business community is a top priority. Her commitment to this effort is evidenced by recent calls to top CEOs: Jim McNerney, President and CEO of Boeing, and Ursula Burns, CEO of Xerox Corporation. 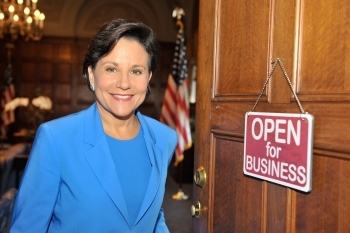 Given her extensive experience in the private sector, Secretary Pritzker understands not only the importance of the Department establishing close ties with the business community, but more importantly what can be learned from meeting with local business leaders (both large and small companies). It is only through these intimate conversations, that one can adequately understand and further address the issues many businesses face. During her conversations with CEOs, Secretary Pritzker asked what their biggest challenges were and what how she, as Commerce Secretary, could help companies become more competitive both in U.S and abroad. The Secretary also established an open line of communication, welcoming feedback from CEOs and business leaders to help her develop strategic goals and her agenda over the next few months. 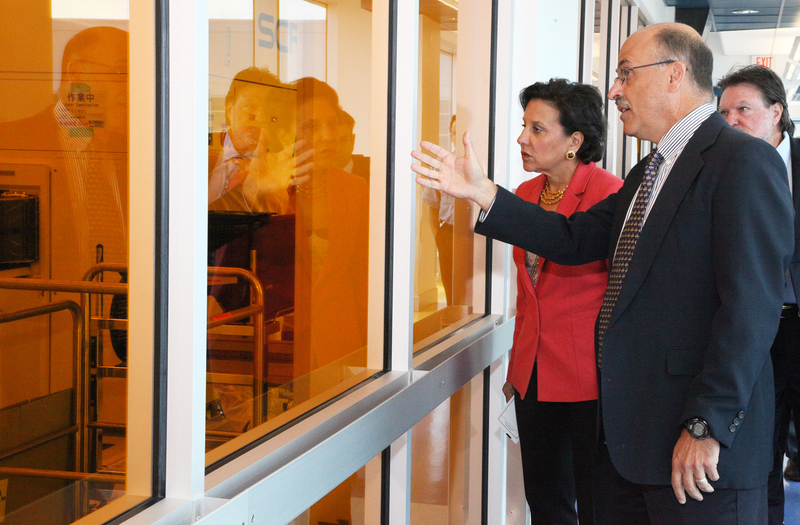 Secretary Pritzker’s outreach to the business community is just beginning. This week marks her first trip as part of an overall listening tour. Conversations such as these are part of her overall commitment to being a strong advocate for U.S businesses to help businesses grow and create jobs to strengthen our economy. This week, Secretary Penny Pritzker joined Secretary Jacob J. Lew at the fifth round of the U.S.-China Strategic and Economic Dialogue (S&ED). 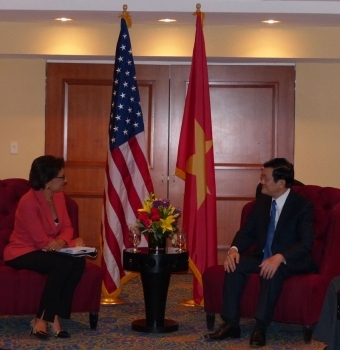 Secretary Lew led discussions with the Chinese delegation, headed by Vice Premier Wang Yang. They were joined by a high-level delegation of Cabinet members, ministers, agency heads, and senior officials from both countries. This year’s S&ED provided an opportunity to demonstrate the tangible benefits of strategic engagement by making concrete progress on our priority issues and creating a more level playing field for American companies and workers. Secretary Pritzker spoke during the Trade and Investment Session about the importance of ensuring American companies have equal and fair treatment when competing with Chinese companies. She also attended the Joint Session on Climate Change, Promoting Economic Growth Session and the CEO roundtable, where she heard from American companies about the opportunities and challenges of doing in business in China. The United States and China emphasized the importance of promoting a comprehensive U.S.‑China economic relationship based on mutual respect and mutually beneficial cooperation. The two countries reaffirmed the important commitments made by both countries in previous Strategic and Economic Dialogues. The two sides announced further concrete measures to support strong domestic and global growth, promote open trade and investment, enhance international rules and global economic governance, and foster financial market stability and reform. The two countries reached consensus to work expeditiously to implement the commitments made and, as the Special Representatives of the Economic Track, directed their respective economic teams to take concrete steps before the next Strategic and Economic Dialogue to do so. PHOTO: Secretary Pritzker speaks with Treasury Under Secretary for International Affairs Lael Brainard during one of the meetings of the U.S.-China Strategic and Economic Dialogue. Even though modern industrial robots are becoming nimbler and more capable, they still need to get a good grip on things—the equivalent of hands that are as agile and dexterous as the human variety. 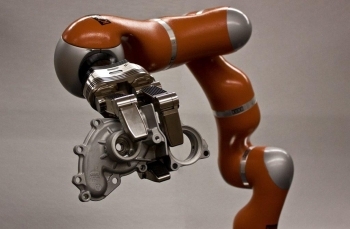 How to tackle the thorny challenge, known in robotics speak as dexterous manipulation, was the aim of a recent workshop hosted by Commerce's National Institute of Standards and Technology (NIST). The workshop featured speakers from manufacturing companies (end users), along with developers of robot arms and of advanced robot "hands." 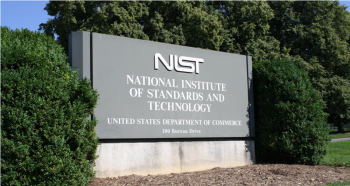 Proceedings of the workshop, which NIST is using as it crafts a technology roadmap to guide measurement science research in the field, are summarized in a new report. Great news out of the Department of Commerce today! 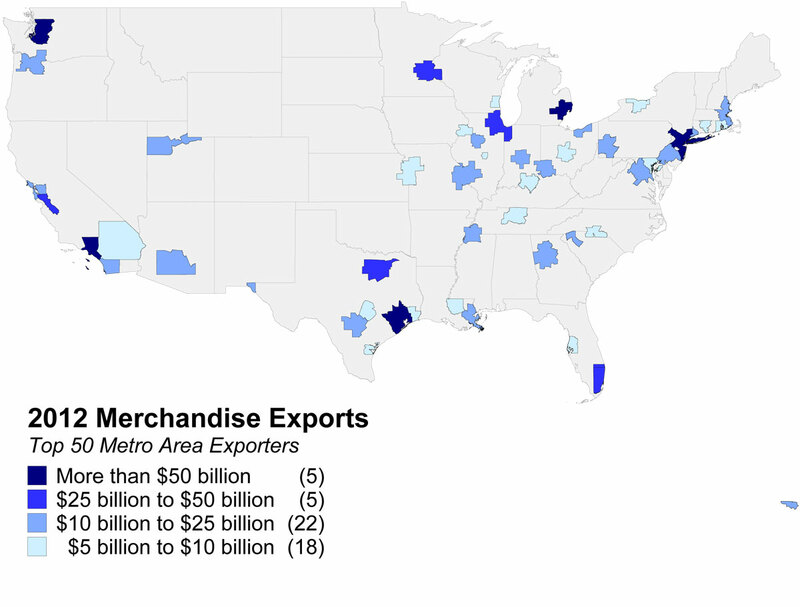 New data was released on the top 50 metropolitan areas for exports in 2012, which shows a combined contribution of exports from these communities to the U.S. economy of $1.04 trillion dollars. 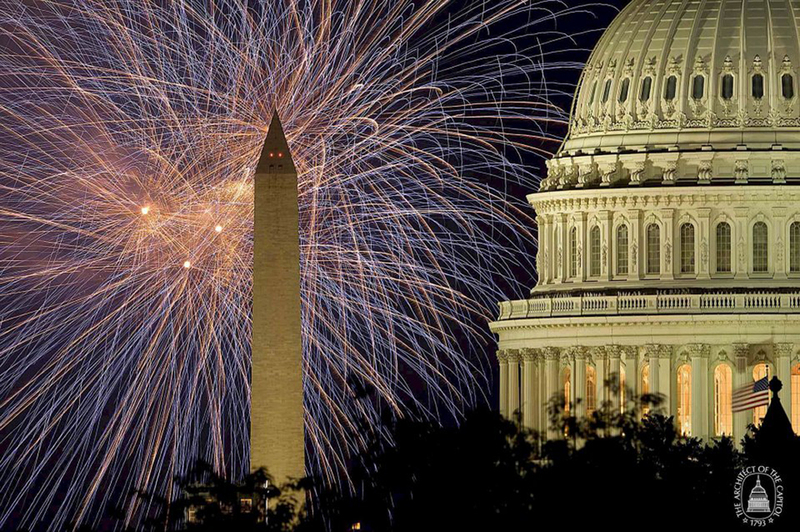 In fact, America’s metropolitan areas continue to strengthen the U.S. economy each year. 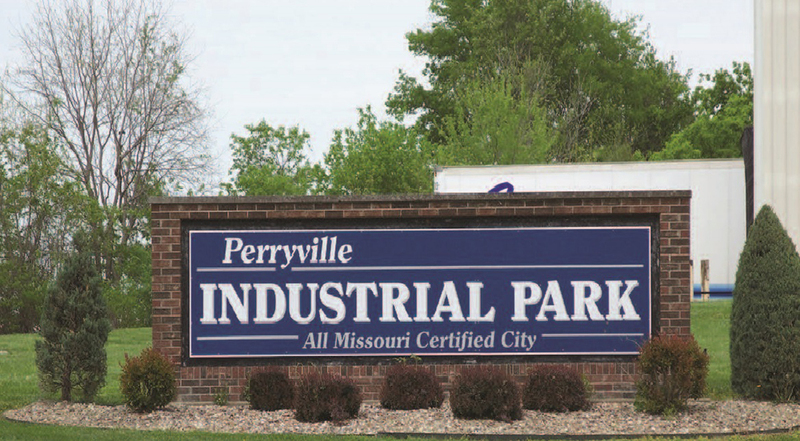 Cities committed to increasing their export potential are making it easier for local businesses to sell their goods and services overseas and increasing manufacturing here at home. These exports are helping to support jobs all across the country. The Houston-Sugarland-Baytown area ranked number one with an impressive total of $110 billion in exports. Combined, the top 50 metropolitan areas for exports around the country totaled $1.04 trillion for the year. Not only did the Houston-Sugarland-Baytown area export the most merchandise, but it also had a record high for 2012, along with 29 other metropolitan areas in the top 50 areas for exports. Between 2011 and 2012, the Houston area had an export growth rate of 5.6 percent. The New York-Northern New Jersey-Long Island area ranked second with $102 billion in exports. 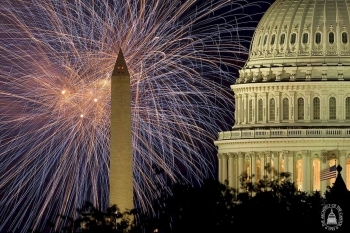 Among the top 25 metropolitan areas for exports, the Washington-Arlington-Alexandria area showed the highest growth in exports between 2011 and 2012 with exports growing by 42.7 percent over this period. Other metropolitan areas that showed high growth in exports included the San Antonio-New Braunfels area (up 33.3 percent from 2011) and the Seattle-Tacoma-Bellevue area (up 22.3 percent from 2011). These increases in exports, even in challenging economic times, strengthen the U.S. economy and support millions of jobs here at home. Since the President’s National Export Initiative (NEI) was launched in 2010 – which seeks to double U.S. exports and support an additional two million jobs by the end of 2014 – merchandise exports from metropolitan areas have increased nearly 40 percent since 2009; while jobs supported have increased by 60 percent to 1.3 million. The Department of Commerce’s International Trade Administration is committed to helping U.S. businesses increase their exports by finding new markets, reducing trade barriers, and ensuring that U.S. companies compete on a level playing field. 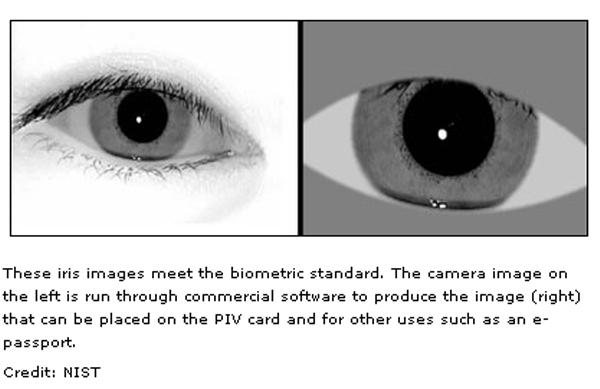 Is your business interested in expanding their product overseas where 95 percent of the world’s potential consumers are? Then contact your nearest Export Assistance Center for support.